Building on the foundations of the Intensive I, this course sheds light upon the profound impact of separation on a child's personality and behaviour. Special attention is given to the problems of aggression, resistance, oppositionality, bullying, distractability, impulsiveness, anxiety, alarm problems, alpha problems, attachment problems, and more. This course is a prerequisite to entry into the Neufeld Institute training programs for course facilitators and practitioners. Revised in 2016, this course is structured into 15 sessions. In the continuing education version of the course, each session contains 60-75 minutes of instructional video by Dr. Neufeld. Most problem behaviour is rooted in instinct and emotion and is therefore unresponsive to conventional forms of discipline or behaviour management. When the developmental antecedents are understood, the path to effective intervention becomes clear. The key to accurate analysis is an understanding of the dynamics of attachment, vulnerability and maturation. These conceptual keys are provided in the Level One Intensive and then used in Level Two to unlock the mysteries of aggression, bullying, resistance, oppositionality, anxiety, obsessions, addiction, suicidal impulses, agitation, impulsiveness, distractibility, and much more. 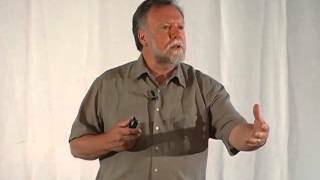 Dr. Neufeld’s wealth of clinical experience with the most troubled populations of children and youth provide the basis for his insightful analysis and proven interventions. His ability to unravel the most perplexing problems to reveal the contributing dynamics, renders the troubling behaviours not only understandable but surprisingly treatable. After a life-time of putting the puzzle pieces together, Dr. Neufeld has discovered that when diverse childhood problems are traced to their very beginnings, the inevitable triggering experience is usually some form or variation of separation - anticipated or real. There is no other single experience that has more impact on our emotions, our instincts or our defensive systems. An understanding of separation and its impact prepares the way for making sense of a myriad of symptoms and then paves the way for change. The model is the result of years of synthesis and distillation and is rooted in depth psychology, grounded in the developmental paradigm, saturated in attachment theory and congruent with current neurological research. It has also been honed by over thirty-five years of professional practice, parenting and personal reflection. The model has been used effectively in a wide variety of venues and settings: parenting, classroom, special behaviour programs, alternate education settings, therapy, correctional settings, aboriginal communities, adoption, counseling, and the foster system. The approach is distinctly developmental and thus in contrast to the current cognitive behavioural fare as well as to the medical disorder approach. Many find it a refreshing alternative to today’s smorgasbord approach to treatment and to the presentation of strategies divorced from their philosophical moorings. The developmental approach is usually somewhat inaccessible because of the esoteric terminology, confusing constructs and fragmented theorizing that tends to characterize it. Developmentalists do not generally have a reputation for being able to make themselves easily understood; Dr. Neufeld is a notable exception in this regard. The video recordings of this course are available through videostreaming via our virtual campus. DVD sets are not available to be purchased. Members of the virtual campus who have taken this course are given complimentary access to the video material for study and review at any time. The primary objective of the Level Two Intensive is to uncover the deep emotional and developmental roots of the most challenging problems of childhood and thus prepare the way for effective and long-lasting intervention. Both the behavioural and the disorder approaches fail to provide explanations and as a result, also fail to provide effective suggestions for getting to the root of the problem. The prevailing focus on symptom management and incident management leaves the root problems unaddressed and behavioural changes short-lived. Insight and understanding is pivotal to effective and lasting change. The tuition fee for taking the Intensive Two individually through continuing education is $750. This includes a virtual campus student study pass of eight months to access the videocourse material as well as other supporting materials. Groups of ten or more are given extra faculty support if this can be arranged. There is no optional DVD available for Intensive II. The course coordinator for this course is Neufeld Institute Faculty member Terry Warburton.